Morris Avenue Professional Center (Imperial Building) with available office space in Union, NJ is located minutes from the center of both Union and Elizabeth, as well as the Garden State Parkway and Route 22. This 11,000 s.f. three-story office building features recently renovated common areas, flexible floor layouts, and ample on-site parking. From Route 22 East, take exit for Route 82 East toward Elizabeth. Merge onto Morris Avenue after approximately 1 mile building will come up on the left. From Route 22 West, turn right onto Bloy Street and make left to remain on Bloy Street. Turn right onto Liberty Avenue after approximately ½ mile turn left onto Morris Avenue, building will come up on the left. 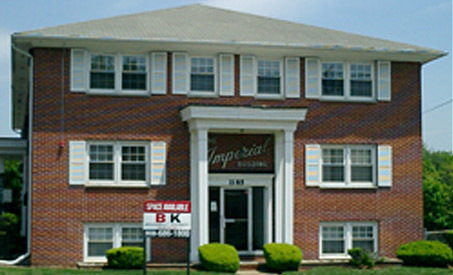 The Morris Avenue Professional Center (Imperial Building) has office for rent in Union NJ.